A great Christmas tradition is touring through town looking at all the beautiful decorations. 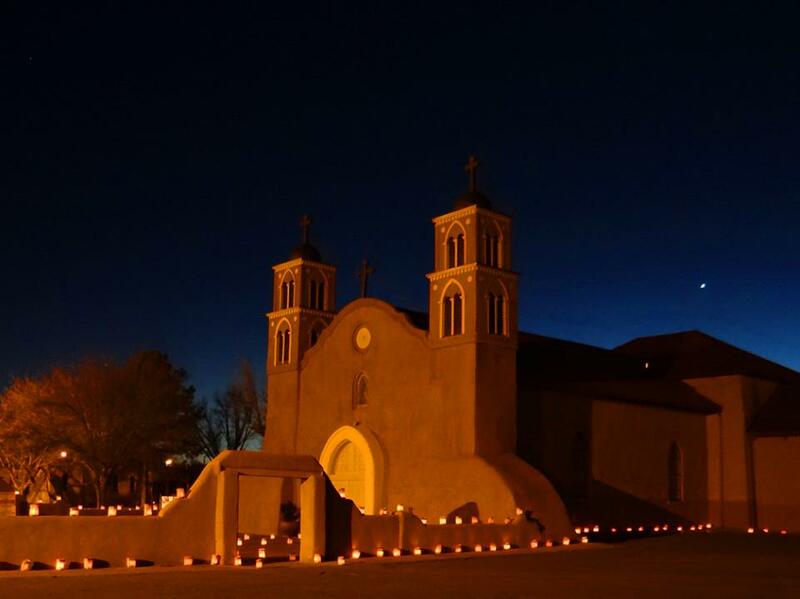 This year on your touring travels make sure to head to Socorro’s Historic District centered around the Plaza. The Plaza has been transformed into a winter wonderland filled with lights and decorations. On Christmas Eve it will also be decorated with many luminarias. Please come and enjoy this spectacular sight, and most importantly, have a Merry Christmas and a Happy New Year!